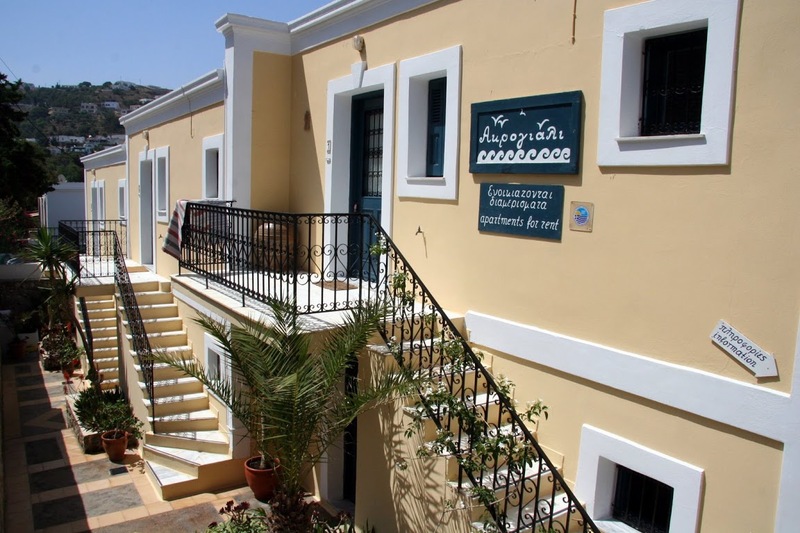 Kalymnos apartments “Acroyali Apartments” is on West part of the island. 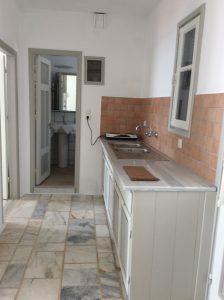 It’s suitable for couples, families, climbers and explorers of the island, who seek accommodation in Kalymnos for quiet holidays or/and action. “Acroyali Apartments” offers to the residents a place to relax and enjoy the sunset view after their walks or their adventures. Right below the apartments lies the beautiful pebble beach of Myrties with crystal clear water. “Acroyali Apartments” is a small complex of six semidetached apartments on two floors just a few meters by the seashore. They are beautifully built, recently renovated and furnished in the traditional style. The decoration is simple and discreet, providing a friendly and cozy environment. Each apartment measures about fifty square meters, has its own independent entrance and can offer accommodation up to four people. The apartments have a separate bedroom with two beds, a bathroom with shower and equipped kitchen. The living and dining area are bright, clean and spacious with two bed-couches to accommodate two more people comfortably. 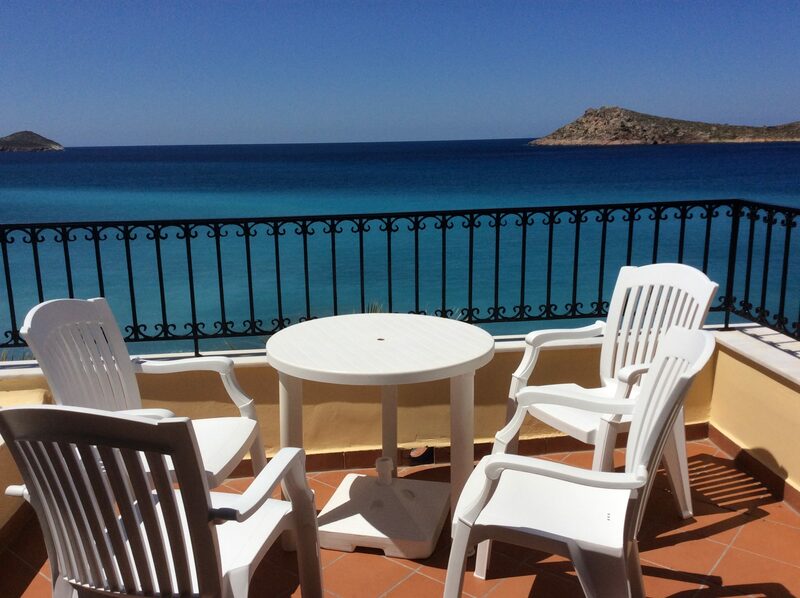 Each apartment has a veranda where you can enjoy the wonderful view of Telendos – the island of the sleeping beauty – the beautiful sunsets and the sea breeze, as well as the view of Myrties beach. 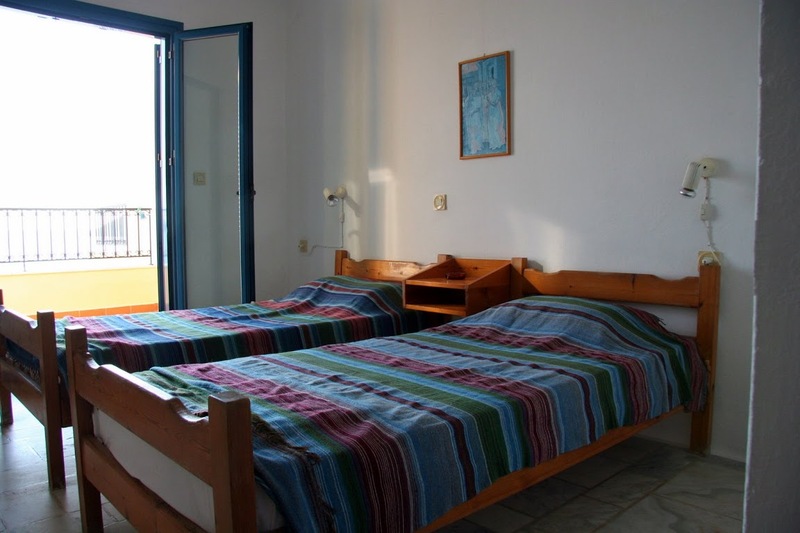 Holidays in Greece are known for hospitality and Kalymnos accommodation is not an exception. “Acroyali Apartments” offers a hospitable and quiet environment and the guests are most certain to feel comfortable and receive the services they need. 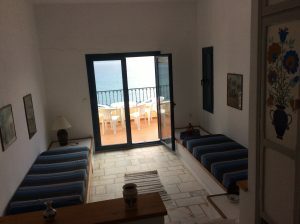 The apartments have internet connection (Wi-Fi) and the bedrooms are air-conditioned. We provide two fans per apartment. The apartments are serviced and the linen are changed twice a week. “Acroyali Apartments” is open as early as of the beginning of April up till mid-November. “Acroyali Apartments” is pet friendly. Please inform us if you are bringing along your pet(s). 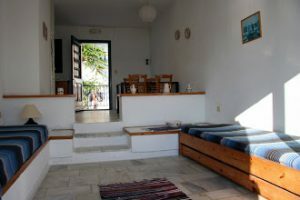 We can arrange for taxi transfers to airport and the Port of Kalymnos, and suggest the best options for food, sightseeing or relaxation according to your needs. Holidays in Kalymnos are gaining popularity among climbers, do not leave your booking until the last moment.